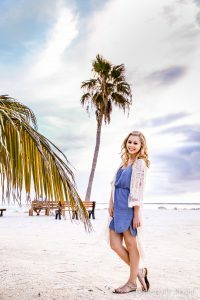 My husband and I love italian food which is probably why there are more italian recipes on this website than any other food genre. Like any good italian restaurant, mozzarella sticks (or bites) are always on the menu and a sure fire way to make new friends at a party. Since it was just my husband and I eating them this time we made a very small batch (8 bites), however, for a party just double or triple the recipe above. 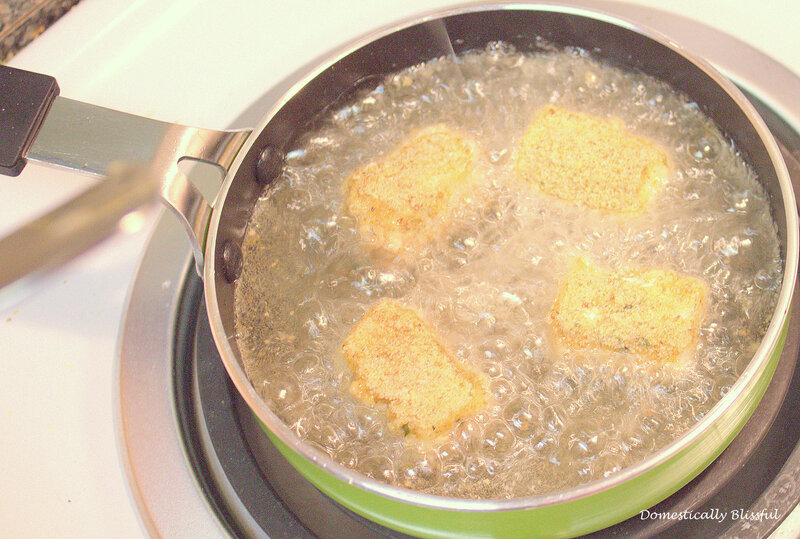 Heat the oil at medium heat in a small pan – we used an egg pan with about ½ cup of oil. It is important to make sure the oil at least will cover half way up the mozzarella bites when they are deep frying in order to get a uniformly golden coating all around the bites. 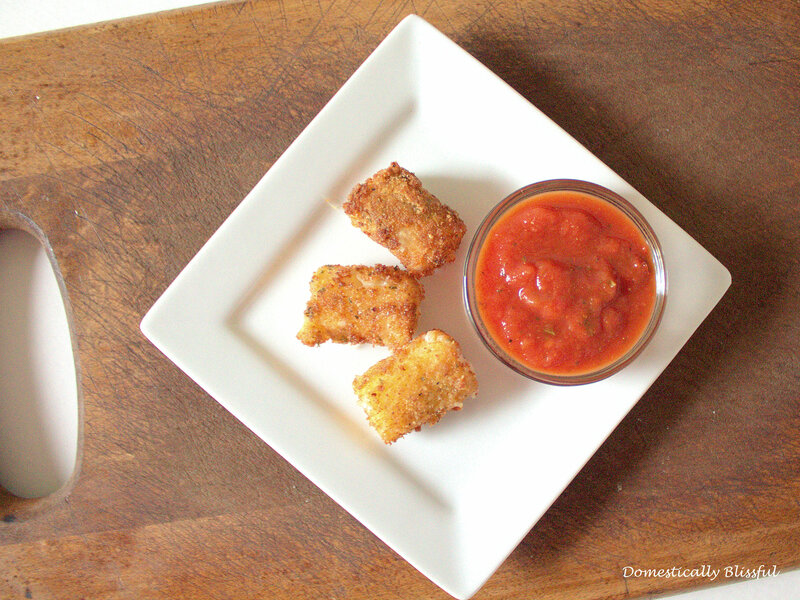 Cut each mozzarella stick into four pieces each and pat each one down with a paper towel. 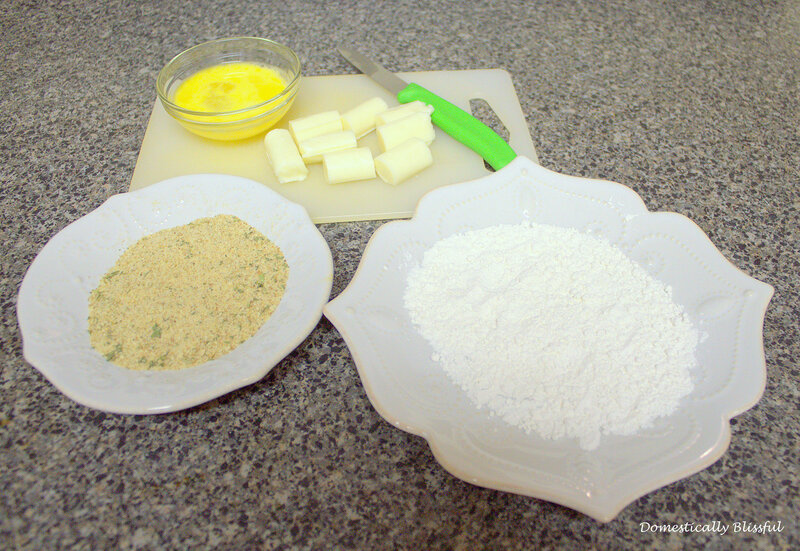 Roll each mozzarella bite in flour, dip in the egg, and then roll in the bread crumbs. 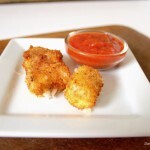 Place the breaded mozzarella sticks in the hot oil and cook until golden brown – about 30 seconds on each side. 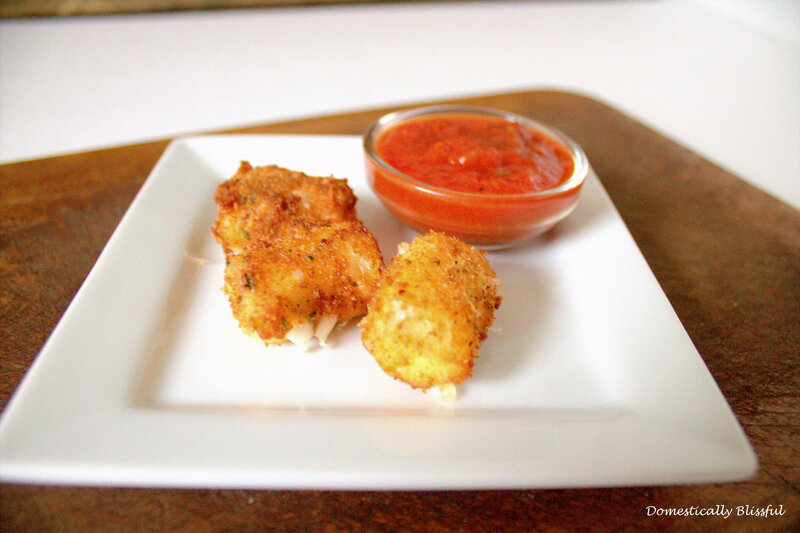 Let the mozzarella bites cool on a plate lined with a paper towel to help absorb excess oil and enjoy with some Tomato Basil Marinara dipping sauce. 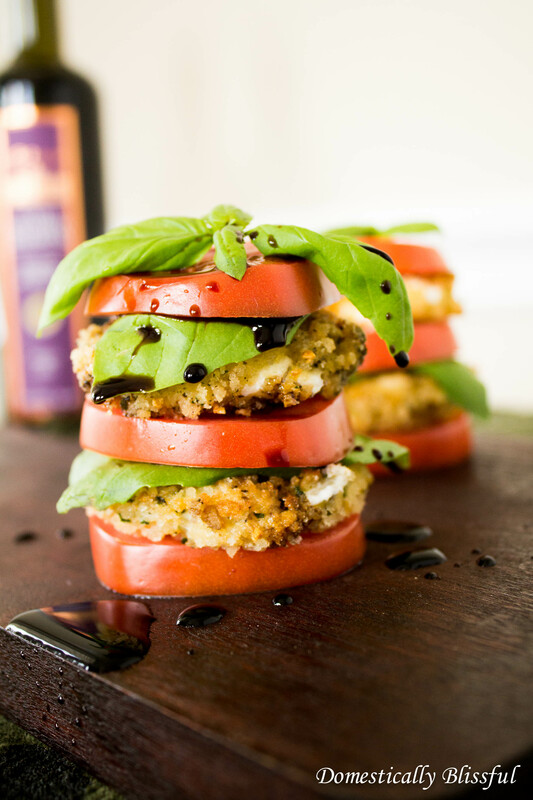 Love Mozzarella? 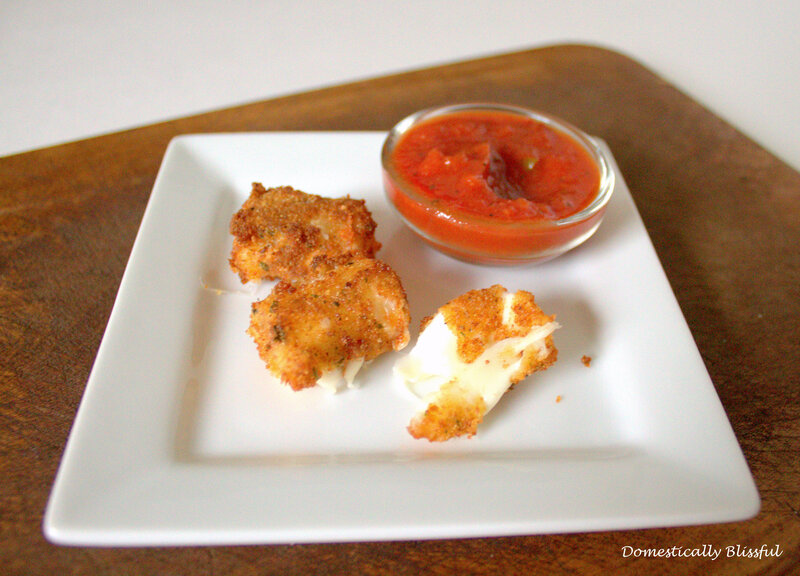 Check out these other yummy mozzarella treats! Heat the oil at medium heat in a small pan – we used an egg pan with about ½ cup of oil. 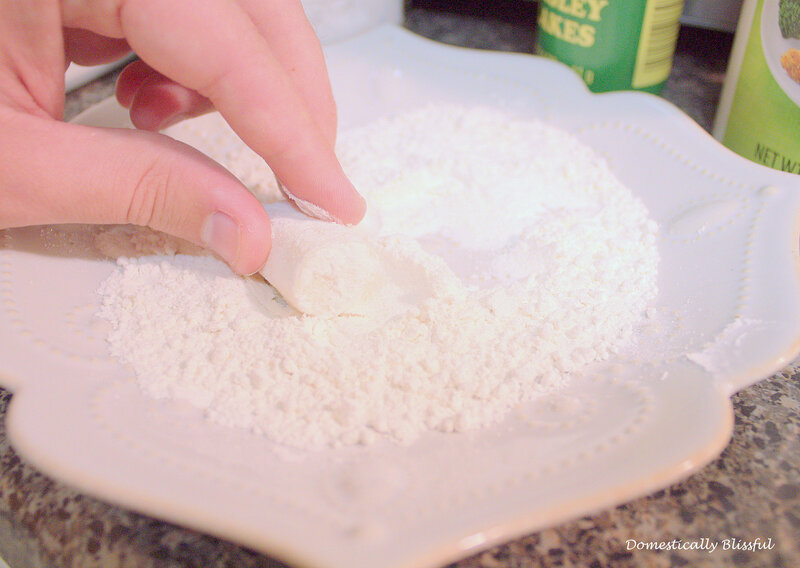 It is important to make sure the oil at least will cover half way up the mozzarella bites when they are deep frying in order to get a uniformly golden coating all around the bites.